Tekno Hex Wrench Set « Big Squid RC – RC Car and Truck News, Reviews, Videos, and More! 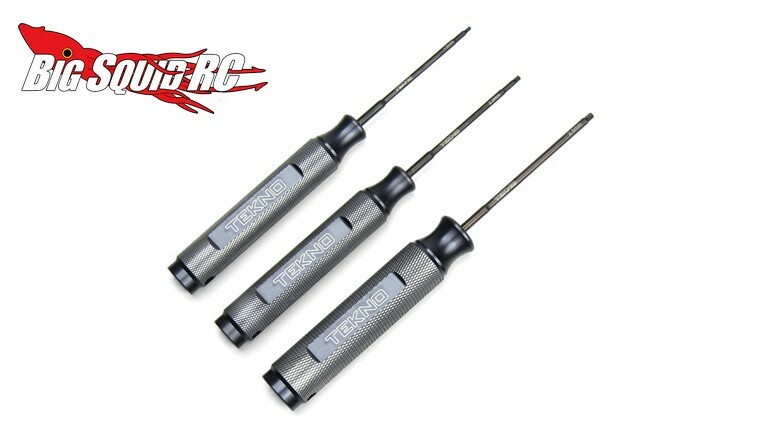 New from Tekno is a 3 Piece Hex Wrench Set. The set includes the 3 most popular sizes- 1.5mm, 2.0mm and 2.5mm, and should make wrenching on your truck a breeze. CNC machined aluminum handles are used for comfort, while 4mm high carbon steel tips get the job done on the business end. Pricing for the set is $64, they have a part number of #TKR1130, and full details can be found over on Tekno’s Website. What else is new at Tekno RC? Find out at This Link on BigSquidRC.